In connection with the official visit to Denmark by Ukraine’s president Petro Poroshenko, the Danish confederation for industry, Dansk Industri (DI), contends the eastern European nation holds a lot of promise for Danish exports. 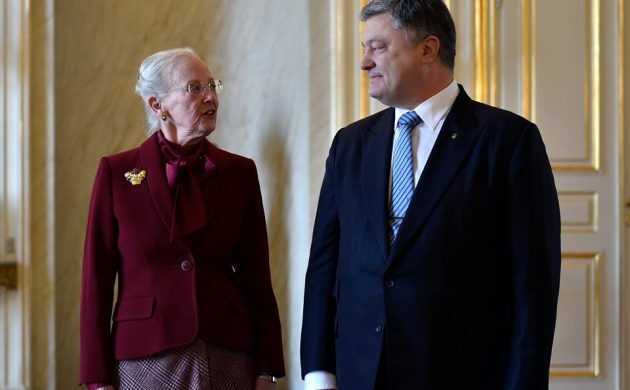 Aside from meeting with Queen Margrethe II today, Poroshenko also discussed a number of topics with DI head Karsten Dybvad, including Denmark’s stronghold sectors, such as food products, green tech and health. “If Ukraine can establish something that resembles a market economy in the future, then there is a good opportunity to increase the value of Danish exports to Ukraine by billions of kroner,” Peter Thagesen, the deputy head of DI, told DR Nyheder. Thagesen argued that one of the central challenges deterring investment in Ukraine was the rampant corruption and lacking judicial security. Transparency and efficiency in business is key for Danish companies, he maintained. Ukraine was ranked 80th on the most recent World Bank Doing Business index, while Denmark was ranked third. Danish exports to Ukraine were worth 1.7 billion kroner in 2016, while Ukrainian goods were imported for a value of 800 million kroner.